Blurb: A nice relaxing read. Gritty, and yet fluffy. Review: Sorry to review this so early, but I can't keep quiet about this one! This was the book that brought me out of my reading slump. It was really easy to get engaged, and the plot was very interesting. However... it was a strange paradox, the plot seemed gritty, and yet it always felt fluffy. I never really took it seriously. This is probably because the romance always seemed over-the-top and silly. But then again... I almost always say that teen romance is over-the-top and silly; so that isn't necessarily a trustworthy stance. And anyway, I really appreciated how easy it was to read (which could be interpreted as fluffy, I suppose) because it was like a happy roller coaster for my brain. Didn't have to fight it to like it. Even though it seemed fluffy, I was definitely invested. I like that the book is a stand alone (it is a stand alone, right? ), but it drew me in and I definitely wanted to know more about Nil. This is the kind of book that I really wish had a map and/or pictures. Ooh! And a prequel would be really cool! This book comes out in spring, and I think it'd make a great spring break read! Thanks for taking a chance on NIL and taking the time to post this lovely review! 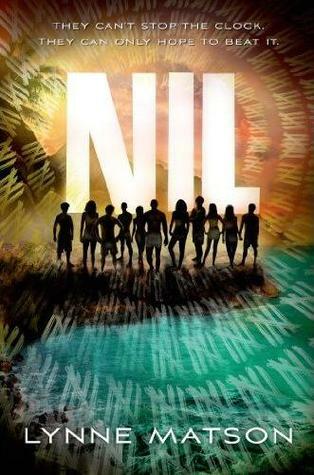 And sharing that NIL was the book that brought you out of your reading slump? Wow--that means so much to me. :) Thank you!!!! !